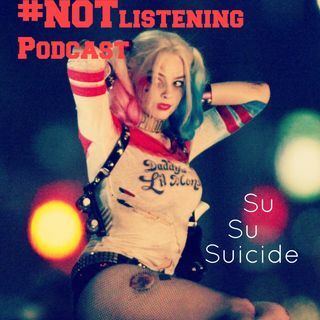 In this Episode of The #NOTlistening Podcast Adam, Will and Ash have a little look at the whole Suicide Squad line up and what we should expect from it all. Check it out. A NSFW (Not safe for Work) Podcast that will keep you entertained during your commute, work day, time alone on the toilet. Featuring Regular Contributors Adam, Will, Ash and Rita.